The default keyboard comes with Android devices is not powerful than below listed apps. Even many mobile companies sell their Android phones with third-party keyboard app instead of Google. Officially Google has their own upgraded keyboard apps in the play store like Handwriting input and Indic Keyboard. When it comes to features, I found some most popular keyboard qualities that people should love are Autocorrect, Swipe, Emoticons, Themes, etc. After installing the app, it’s easy to replace the default keyboard or revert back to the default keyboard, just go to settings>Language & input>Current keyboard and select your app. You can customize keyboard settings from the menu or setting icon appear on the keyboard. ai.type is a most personalize keyboard lets you customize the keyboard layout from thousands of free themes, change font, colors, background image, and more. While typing with ai.type, you can easily resize the keyboard to smaller or larger. ai.type is really faster to type and it’s way to learn my writing style makes my typing more faster than before. Features like prediction, completion, correction, swiping, and emoji are available in the premium app, but still you can use these features free for 18 days, and that is the reason why I drop this app at the bottom in my list. Flash keyboard is a free app that supports more than 20 languages in the world. The skins collection of the app is very good, and even you can download stickers packs free from the gallery. The app also support GIFs let you create your own face GIF image using the camera. Flash keyboard also supports Auto-correction, word suggestions and next-word prediction. 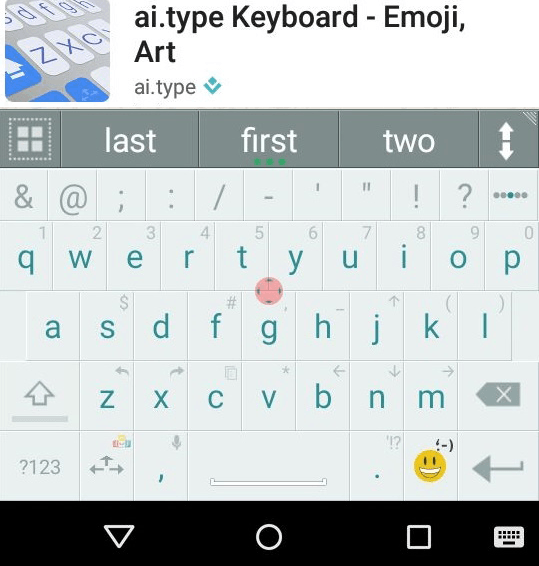 Flesksy is very flexible to send GIFs directly from the keyboard. It looks beautiful and you can make it more beautiful with it’s theme builder features. Watch the video how Flesksy breaks the World Record for Fastest Texting. The app has brilliant gesture actions like Swipe right to [space], Swipe left to [delete], and more. 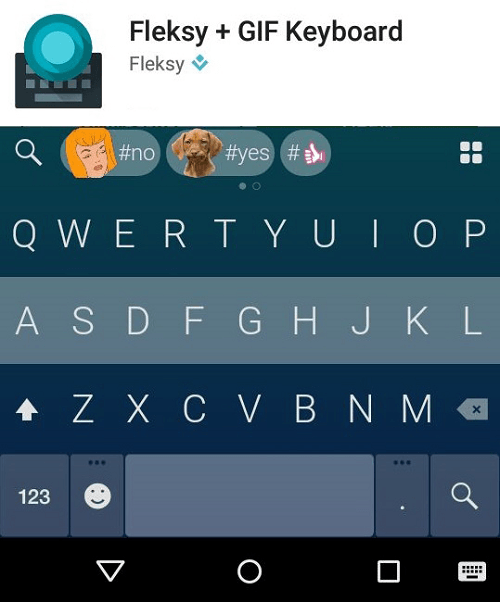 Fleksy also has extensions that extend the keyboard functionality such as an app launcher, shortcuts, editor, etc. 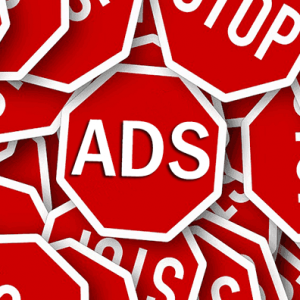 Google’s default keyword is the simplest way to type. No background, No customization, only focuses on the words you’re typing. Click the voice control icon to type with your voice and you know what? Google’s word prediction, completion suggestion, automatic correction is absolutely brilliant. You can also do Gesture typing like SwiftKey and there’s no space bar required. 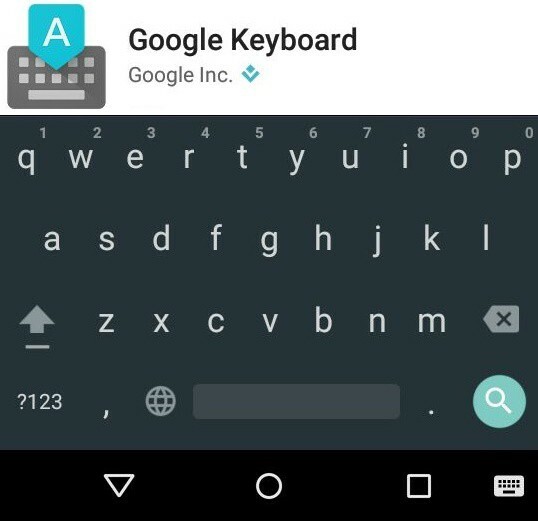 May be the keyboard comes default with your Android device else, install it now. With over 200 million users, GO keyboard is the most popular keyboard app in the Google play store. It’ll make your typing faster, better and correct. The app supports 60+ languages, 12000+ themes and 800+ free Emoji. Fancy stickers and GIFs collection are also good and you can download any pack for free. It provides various layouts such as QWERTY keyboard, QWERTZ and AZERTY keyboard. 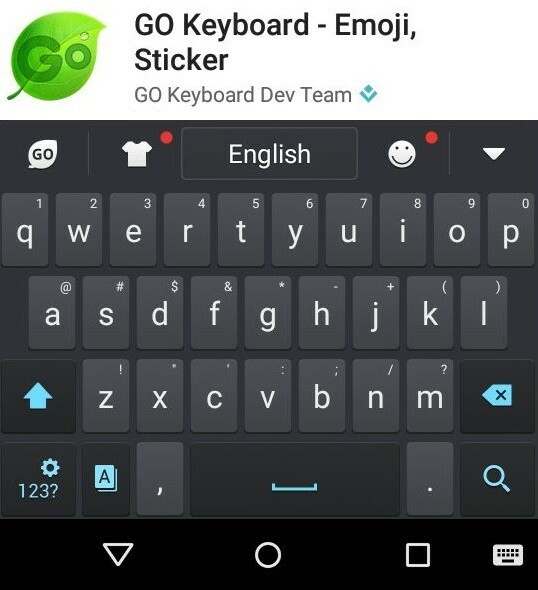 GO keyboard has all awesome features without any cost like personalize, word correction, beautiful fonts, gesture typing, voice input, and more. 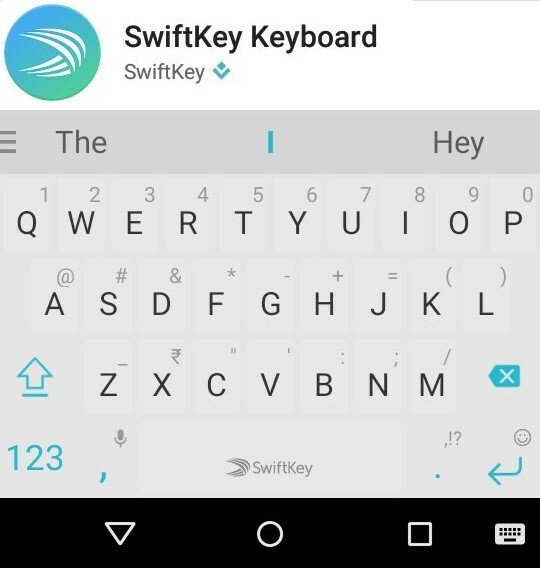 Hats-off, to SwiftKey, I’m really a fan of their prediction technology. It’s way to gesture typing is really works correctly. 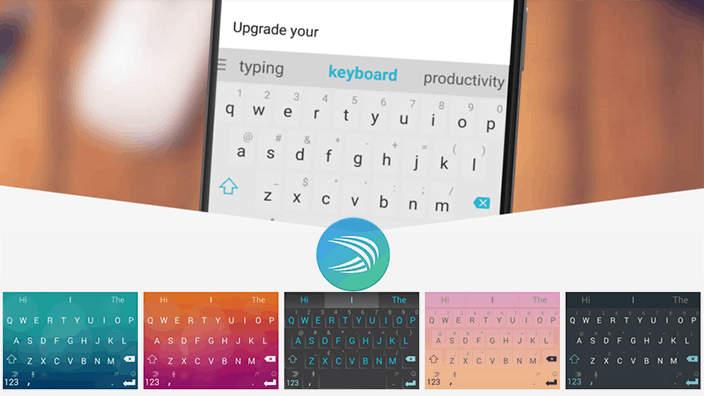 I was upgraded to SwiftKey in both of my Android and iPhone devices and you should too. 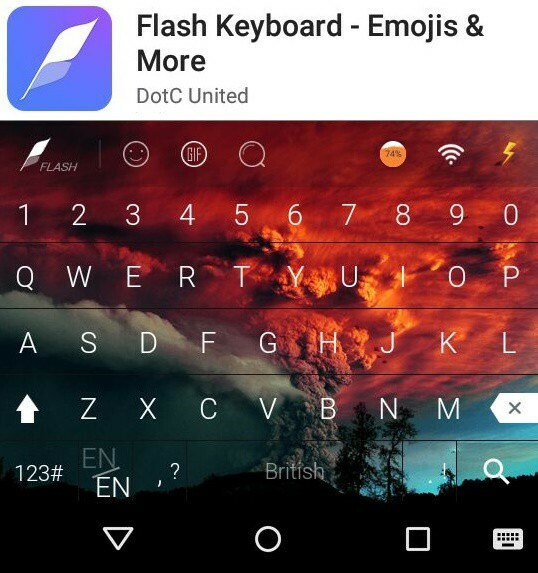 It has uniquely designed keyboard themes that you can apply with just a click. 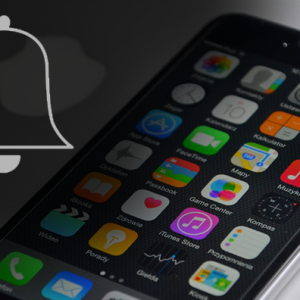 You can change layout, resize, dock and undock keyboard, and more awesome features are waiting for you.